Evangelicalism, or the Evangelical Movement, represents a potent force in modern “Christendom”. A full third of those who would profess Christ in the world fall under the Evangelical umbrella, and most such persons live outside of North America and Europe1. As described below, it is often difficult to pin down a specific definition of evangelicalism, but in general, evangelicalism represents a loosely confederated movement of Protestants from the eighteenth century to the present believing in the need for a conversion experience, a personal relationship with Jesus, and relying on the Bible as the standard for faith and practice. Nevertheless, there is great diversity of belief among Evangelicals, and the movement experiences great tension between Calvinist and Arminian (predestination vs. free will), amillennialism and premillennialism, pentecostalism and cessationism, and fundamentalism and post-fundamentalism groups. Many other movements have sprung out of evangelicalism, yet the movement is as alive and as vibrant today as ever. Evangelicalism (from the Greek euangelion, “good news” or “Gospel”) emerged out of disparate movements that swept through Protestant churches in the seventeenth and eighteenth centuries. The first, and in many ways the most influential, was the Pietist Movement of the seventeenth century in Germany, a reform movement within Lutheranism which focused on the conversion and regeneration of the “inner man” and the belief that such an experience was necessary for salvation2. Such an “experiential” focus will mark later evangelicalism. The second was the Puritan movement which attempted to reform the Anglican church toward Calvinist Protestantism; many such Puritans traveled to America in the early seventeenth century, and their Calvinist Protestantism would impact Evangelical thought3. The third group, although starting during the beginning of evangelicalism proper, would greatly impact later evangelical developments: the Wesley brothers and Wesleyanism, whose emphasis on holiness and sanctification would eventually lead to Methodism and Pentecostalism. The Evangelical movement as such began in the 1730s and 1740s with the first “Great Awakening,” involving the preaching of George Whitefield, Jonathan Edwards, and John Wesley, among others, especially in America4. This period represented the beginnings of revivalism, when meetings would be held in various communities and many would decide to “accept Christ” in a conversion experience. This “awakening”, along with the second “Great Awakening” of the 1820s-1840s, resulted in the “Christianization” of young America and the dominance of evangelicalism over the American religious climate. The nineteenth century also saw the beginning of the conflict that would engulf evangelicalism for the better part of the twentieth century: the rise of “higher criticism” and evolutionary theory, and their attempts to undermine confidence in the validity of the Biblical account of creation and history. Fundamentalism as a movement began within evangelicalism in the early twentieth century as a reaction against these tendencies in liberal Protestantism and society in general. Until the 1930s, evangelicalism and fundamentalism remained together; the subsequent radicalization and separatism of fundamentalism led to a separation between “mainline” evangelicalism and fundamentalism in the 1930s and 1940s5. While fundamentalists may desire to see themselves as evangelicals, other evangelicals would not be very comfortable with them in their fold. 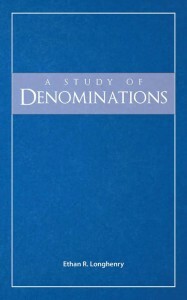 The early twentieth century also saw the explosion of the Pentecostal/Charismatic Movement and its attendant controversies; while some “evangelical” groups did not want to include the Pentecostals in their midst, other voices prevailed, and Pentecostals make up a large proportion of evangelical Christianity. Modern evangelicalism emerged from the crucible of historic evangelicalism and the fundamentalist schism; it is often called “postfundamentalist” evangelicalism, and it began in 1942 with the creation of the National Association of Evangelicals (NAE)6. Prominent in postfundamentalist evangelicalism is Billy Graham and his legacy of large meetings and mass conversions; his overall leadership has kept the disparate segments of evangelicalism together7. Most recently, there has been a “postconservative” movement within evangelicalism, an attempt to transcend the old “liberal vs. conservative” perspective and return to the spirituality of the days of the “Great Awakenings”8. These trends have helped to lead to Emergism, or the Emergent movement, in the early twenty-first century. In many ways, it is difficult to characterize evangelicalism and the evangelical movement, since its umbrella is vast, and there is little agreement as to what precisely constitutes an “evangelical”. This difficulty is compounded by misunderstandings both within and without the movement. It is imperative, therefore, for us to provide a proper definition of whom we speak when we talk of “evangelicals” and the “evangelical movement”. There is no mutually agreed upon single definition, and the term “evangelical” is used in different contexts. The broadest definition represents authentic Christianity based on the Gospel; any group teaching the true Gospel could thus be considered “evangelical”. “Evangelical” can also be equivalent to Protestantism, being “Gospel-centered”. It can also refer to a group that derives from pietist revivals of Protestant faith in the eighteenth and nineteenth centuries. In the past, evangelicalism has been equated with fundamentalism, although fundamentalism has now become its own subculture. A more modern definition involves post-fundamentalist evangelicalism attempting to return to its pietist, revivalist history. In popular society, it is also equated with any fanatical or aggressive religious group9. For the purposes of our study here of evangelicalism and the evangelical movement, we will define evangelicalism as the movement of the past 270 years blending pietist revivalism with Protestant orthodoxy as manifest in the “Great Awakenings” and in modern post-fundamentalist evangelicalism. Evangelicalism has always been rooted in the individual and his faith; as a result, while many denominations are populated with large percentages of individuals who claim to be evangelicals, few denominations could be considered to be entirely “evangelical”. Baptists are prominently featured in evangelicalism, along with Wesleyan and Pentecostal churches (although Oneness Pentecostals are generally excluded, being anti-Trinitarian). The Christian Church (Disciples of Christ) are also in this evangelical mainstream. Evangelicals can also be found in the midst of Roman Catholicism, Lutheranism, many Anabaptist groups, historic Calvinist churches, Anglicanism/Episcopalianism, some Quakers, Pietist groups, the Plymouth Brethren, and The Salvation Army, although their numbers are fewer among the “liberal Protestant” groups (Lutheranism, Episcopalianism, United Church of Christ, Presbyterians, etc.)10. Many movements have developed either from within evangelicalism or under its influence, including Fundamentalism, the Community Church Movement, the House Church Movement, the Megachurch Movement, and Emergism. Evangelicalism, by its very nature, has practiced its own form of ecumenism, although there has been historical skepticism among many evangelicals of the ecumenism of liberal Protestantism. As with all matters evangelical, there is some level of disagreement about the majority of the matters listed below. They are provided as a general guide for understanding. A general trend that is prevalent in much of evangelicalism involves a high level of interaction with the surrounding secular society. From the 1940s through the 1980s and beyond, “Evangelical culture” grew and developed; since then, it has continually tried to mirror overall societal trends11. This is a trend that has been noticeable for even longer, going back to the “missionary” society concept in the nineteenth century. The establishment of church gymnasiums, fellowship halls, church-run “Christian” cafes, coffeehouses, and bookstores and other resources have followed these trends. Modern marketing methods and modern evangelistic methods parallel one another: to suit an entertainment-drenched society, many such evangelical churches have established “seeker-friendly” assemblies designed to entertain. Such methods perhaps have wide appeal among people of the world, but do they represent God’s intentions for His people? Let us consider the matter. I wrote unto you in my epistle to have no company with fornicators; not altogether with the fornicators of this world, or with the covetous and extortioners, or with idolaters; for then must ye needs go out of the world. While achieving proper balance may not always be easy, many of the trends of evangelicalism seem to violate many Biblical principles in their endeavor to remain “relevant”. There is no justification to change the message to make it more appealing to modern man; to speak only of the “positive” matters to be more “seeker-friendly” runs afoul of Galatians 1:6-9 and 2 Timothy 4:2. Likewise, to turn the assembly, which is designed to encourage Christians, into an entertainment service runs afoul of God’s intention for the assembly as established in 1 Corinthians 14:26 and Hebrews 10:24-25. It is difficult to see how the operation of various businesses integrates with the role of the church, which is to build itself up in love (Ephesians 4:16). While such things may make perfect sense to modern Americans, do they make sense according to what God has revealed in the Bible? That must be our primary concern (Romans 12:1-2)! America’s uniqueness is in the Christian consensus of the Founding Fathers, who penned documents guaranteeing religious and personal freedom for all. This nation was not founded by atheists, secularizers, or monarchists who thought the elite educated class should rule over the common people. America’s founding was based more on biblical principles than any other nation’s on Earth– and that’s the reason this country has been more blessed by God than any other nation in history12. American evangelicalism and populist republicanism were ready allies, and there remains to this day an implicit view that America represents the new Israel, the new chosen land and chosen people of God. This sentiment has been exemplified in many social reform movements over the past two hundred years: evangelicals represented strong voices both for abolition and the promotion of Southern slavery, prohibition, and both sides of the mid-20th century civil rights movement. Since 1979 and the founding of the “Moral Majority,” evangelical Christians have often been enlisted to promote legislation of moral constraints, and other organizations have developed on the other side of the political spectrum advocating rights for the poor and dispossessed13. Underneath all of these sentiments remains a view that Christians and Christian churches have a responsibility to reform or legislate for society. Such a view makes sense in a world where Jesus will return to establish an earthly kingdom, or in a world where the division between the old and new covenants is not maintained sharply; however, are these expectations truly manifest in the New Testament? Let every soul be in subjection to the higher powers: for there is no power but of God; and the powers that be are ordained of God. Therefore he that resisteth the power, withstandeth the ordinance of God: and they that withstand shall receive to themselves judgment. For rulers are not a terror to the good work, but to the evil. And wouldest thou have no fear of the power? do that which is good, and thou shalt have praise from the same: for he is a minister of God to thee for good. But if thou do that which is evil, be afraid; for he beareth not the sword in vain: for he is a minister of God, an avenger for wrath to him that doeth evil. Wherefore ye must needs be in subjection, not only because of the wrath, but also for conscience sake. For for this cause ye pay tribute also; for they are ministers of God’s service, attending continually upon this very thing. Render to all their dues: tribute to whom tribute is due; custom to whom custom; fear to whom fear; honour to whom honour. Peter also provides similar sentiments in 1 Peter 2:13-17. From these passages we see that Christians are to be subject to earthly governments and to pay taxes, along with praying so that Christians may lead tranquil and quiet lives. We do not see any expectations here for Christians or churches to reform or legislate for society. Many will argue that Christians lived under the Roman Empire, which represented a dictatorship, and since America is a republic and its citizens have the opportunity to vote, God’s expectations of Christians in America is to be different. We have no Scripture that would validate this type of argument; while it is true that we live under a different form of governance, we still do not see any indication in the New Testament that the Christian is to be devoted to the reformation of society. For our citizenship is in heaven; from whence also we wait for a Saviour, the Lord Jesus Christ. Love not the world, neither the things that are in the world. If any man love the world, the love of the Father is not in him. For all that is in the world, the lust of the flesh, and the lust of the eyes, and the vainglory of life, is not of the Father, but is of the world. And the world passeth away, and the lust thereof: but he that doeth the will of God abideth for ever. God expects that the Christian’s primary focus is his spiritual citizenship and the obligations of his spiritual covenant. There is no indication that America is the new Israel or represents God’s new chosen people; we certainly hope that at least some Americans are recognized to be God’s people by virtue of being His obedient servants (cf. Romans 6:16-23), but it is not on the basis of their being Americans. Galatians 3:28 and Colossians 3:11 indicate that any and all racial or national barriers are broken down in Christ’s Kingdom; He remains Lord over all (Matthew 28:18), not merely Lord of America. The appropriation of God’s words to Israel to refer to America is misguided: we are under a new covenant with better promises, breaking down such barriers (Ephesians 2:11-18, Colossians 2:14-17, Hebrews 7-9), and the new Israel is represented by those who are known to Christ (Romans 2:28-29). God does not expect His people to renounce citizenship in an earthly nation. Paul, by virtue of being from Tarsus, was a Roman citizen, and he used his privilege as a Roman citizen whenever necessary so that he could continue to promote the Gospel (Acts 16:37-39, Acts 22:25-30, Acts 23:11, Acts 25:10-12). Christians have the right to use whatever means are legitimate and at their disposal to promote the Gospel, but the focus is always on the salvation of souls, not the preservation of society! In the end, it remains a personal decision, based on one’s understanding of the Scriptures, as to whether he or she should vote and for whom. Nevertheless, the Scriptures demonstrate clearly that the primary goal of Christians and the church is the promotion of God’s Kingdom to all men, and not a misguided attempt to force society to conform to Christianity. Christianity is to be promoted through the Gospel, not the legislation of worldly states that are all destined for the historical dustbin (Romans 1:16-17). Earthly authorities have come and gone; Christ’s Kingdom remains, and will remain forever (Revelation 1:6). 1: Philip Yancey in The Beliefnet Guide to Evangelical Christianity, x. 2: Roger Olson, Pocket History of Evangelical Theology, 22-31. 9: for all definitions, ibid., 8-12. 10: for many of these, Wendy Zoba in The Beliefnet Guide to Evangelical Christianity, 106. 11: ibid., 80. 12: Tim LaHaye, “The American Idea: Godless Society”, The Atlantic Monthly, November 2007, 44-45. 13: Zoba, The Beliefnet Guide to Evangelical Christianity, 93. The interpretation of Romans 13 is greatly debated in that many Christians think that it instructs them to obey an earthly government even though it might force them to go against the words of God. The correct definition would be for Christians to ‘push back’ against the continuing dilution of their faith by opposing the ungodly laws being put forth by those governments. ‘…Render unto Caeser that which is his…’ does not mean becoming subservient to unjust and unGodly law. While there have been interpretations of Romans 13 allowing for greater civil disobedience and even justification of rebellion, such views must be read into the text; they are certainly not suggested by Paul or his first century Roman context. Roman laws and customs often were quite ungodly. Christians proved willing to die before sacrificing to the genius of the Emperor. We have records of them affirming their faith in Christ; we have records of their martyrdom; what is entirely lacking is any record of them attempting to have the laws changed. That is quite telling. Change the interior person/ mind then automatically the law will change in time as Christians take on political & other roles of social, economic & political leadership. If this fails to happen then clearly such Christians remain hypocrites as they fail to put their beliefs into practice through the laws of the land which their authority & power gives them the chance to change. You are correct. Unfortunately, while Christians can and do make things better, whether in positions of power or not, the Kingdom will not be fully realized until Christ returns. being a ” born again” evangelical for 16 years I began to question some of the radical, judgmental aspects of this movement. what I believe and why. a Souther Baptist pastor questioned the whole ” born again” sinners prayer and asking Jesus into your heart. he found it nowhere in the bible except for John3:3. but Jesus also said ” if we didnt become like these little children we will not see the kingdom of heaven. i attended Willow Creek for awhile in the mid 90’s and yes it was very entertainment focused. i am much more now interested in the early church. The Acts 2 church which many aspire too did not have tracts or bibles to hit one over the head with. it was their life that influenced people. i am drifting out of evangelicalism into just a simple faith in Christ. I think that it is not about religion, its about the, ” the legislators of the worldly state….”… The God in Society wants us all to become equal. Having the laws changed for the better of the world. creating hope where here is no hope, people have to make willing decisions.. I have been a part of the Church of Christ all my life. My problem with a lot of the changes you discuss is that it does not reflect the way the early Church fathers worshiped. I am reminded of scripture that talks about adding or removing from scripture. I am also aware that the Devil walks around like a roaring lion seeing who he can devour. I find this attitude more and more in our modern society where nothing has any definitive value. What better way to snare the individual who is not paying attention. All scripture will harmonize, but, what will not is the multitude of individual arguments that are not consistent with all scripture. We will make mistakes. Paul either has the Law of Moses itself or some concept of the moral law in view. In chapter 2 he is speaking to the Jews; in chapter 3 he will show that one cannot be justified by works of the Law on their own.